So, is this news to anyone? Really? When I read Dawkins' books, I thought he made it clear that no one can be truly 100% certain that there is no god but that being 99% certain is pretty darned close. Am I wrong here or was I the only person to read that? During a wide-ranging discussion the Archbishop also said that he believed that human beings had evolved from non-human ancestors but were nevertheless "in the image of God". OK. So, let's think about this for a second. Is he implying that whatever homo-sapiens-sapiens has evolved from was also in the image of god? If so, how far back does this go? Was the first living cell in god's image? That would sorta refute the idea that humans are special, wouldn't it? Wouldn't it mean that bonobos, chimps and macaques are also made in the image of god? Couldn't we also infer that Neanderthals were in the image of god? If so, why would he let them be wiped out? And if them, why not us? Being in the image of god doesn't seem to guarantee any sort of protection from annihilation. Or is he implying that whatever homo-sapiens-sapiens has evolved from was not in the image of god but that once homo-sapiens-sapiens arrived on the scene then he conferred god-like status on them? If that's the case, will whatever humans evolve into no longer be in the image of god? I find this all very confusing. And arrogant. To say that god worked for billions of years and created tens of millions of species of animals then waited for the most reckless, malevolent species to evolve and then said "Yep! That's just like me!" is just too much to accept. Or maybe it isn't, considering what this alleged god has done to those who believe in him, those who oppose him, and pretty much any innocent bystanders who happen to be breathing in the same general vicinity of whoever his chosen people happen to be that day. Perhaps we really are god's image. Of course, if that's true then we are all totally screwed no matter what we do or believe. 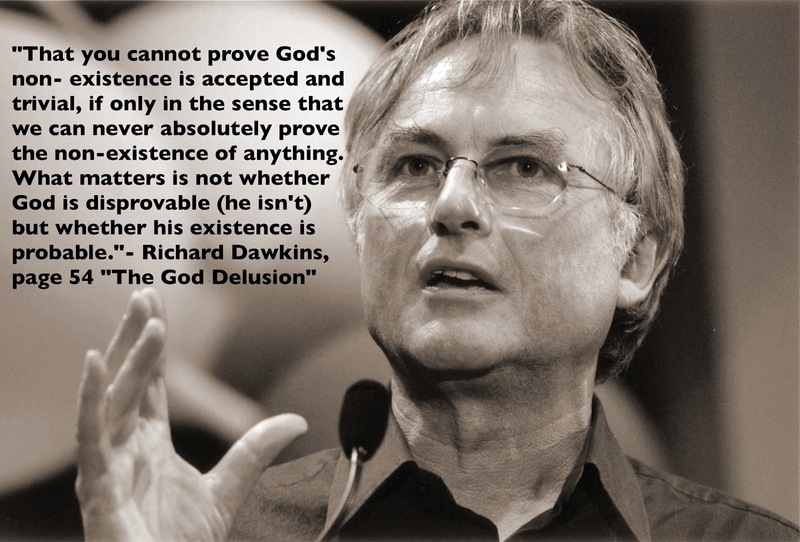 And if it's true, agnosticism and atheism are still the best options. If god is gonna screw us anyways, may as well eat, drink and be merry while you can. No matter how I look at it, I still cannot find a single decent argument in favor of Biblegod or Christianity.